ABC Pediatric Therapy - Why Get Help Now For Gross Motor Concerns? ABC Pediatric Therapy - Why Get Help Now For Gross Motor Concerns? 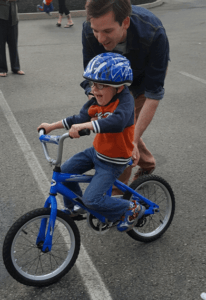 Why Get Help Now For Gross Motor Concerns? Gross Motor Skills are the large movement skills our body develops throughout our growing years. These include rolling, sitting, crawling, walking, jumping, riding bikes, and climbing. Proper development of gross motor skills requires strength, balance, postural control, and coordination. It also requires appropriate function of our joints and muscles. Humans were meant to be upright! Gross motor skills are very important to a child’s overall development, health, learning experiences, and self-esteem. Being able to keep up with peers on the playground encourages social and emotional development. Performing gross motor skills facilitates overall body health because it allows children to be physically active. This leads to a healthier heart, lungs, bones, and gastrointestinal system. The developmental process of gross motor skills affects other skill areas. The human body follows a step by step process, where one area often relies on another to achieve full function. Each milestone that is achieved throughout the first years of life is dependent on the one that came before it. To get into the sitting position, we must first learn to roll. We need to learn how to stand before we learn how to walk. We need to walk before we run and jump. The body goes through a complicated movement process. If a child is not achieving a milestone within a reasonable time frame, it is important to ask questions and seek out guidance right away because the next set of skills is coming up fast. The longer you wait, the further behind the child will fall. The earlier an intervention is provided, the more effective it can be.